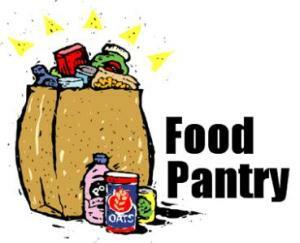 October was the month for St Peter to help sack/pack and carry out for the Food Pantry. They have moved us to November 29th. The next few months are the months that their shelves get empty fast! As you go out to pick up some groceries grab a few extra can of beans, peas or corn…. Everything is appreciated… If not you can always give a cash gift just note it on your check so we make sure it gets to the right source. Also they have a thrift store that funds some of the foot pantry. We have baskets at the back of church to leave your items. EDITOR’S NOTE: YOU CAN DROP OFF DONATIONS AT ST. PETER’S CHURCH OF COUPLAND. DONATIONS SUPPORT THE WORK OF SHEPHERD’S HEART IN TAYLOR. This entry was posted in Sharing & Trading, What's New? and tagged Food Pantry, Shepherd's Heart Taylor Texas, St. Peter's Church of Coupland Texas on November 27, 2014 by Stewart Dale Spencer.